The weather lately has been indecisive. First it’s warm and Spring-like (even sometimes downright hot), but then it will switch and turn chilly. In order to combat the fickleness of the changing season, I’ve taken to wearing my Little Arrowhead Shawl. Despite having made it in… late 2012?, I hadn’t really worn it often. I think it was my first (or possibly second) lace shawl. I like lace shawls, conceptually and in the creation process, but hadn’t quite figured out how to wear them. 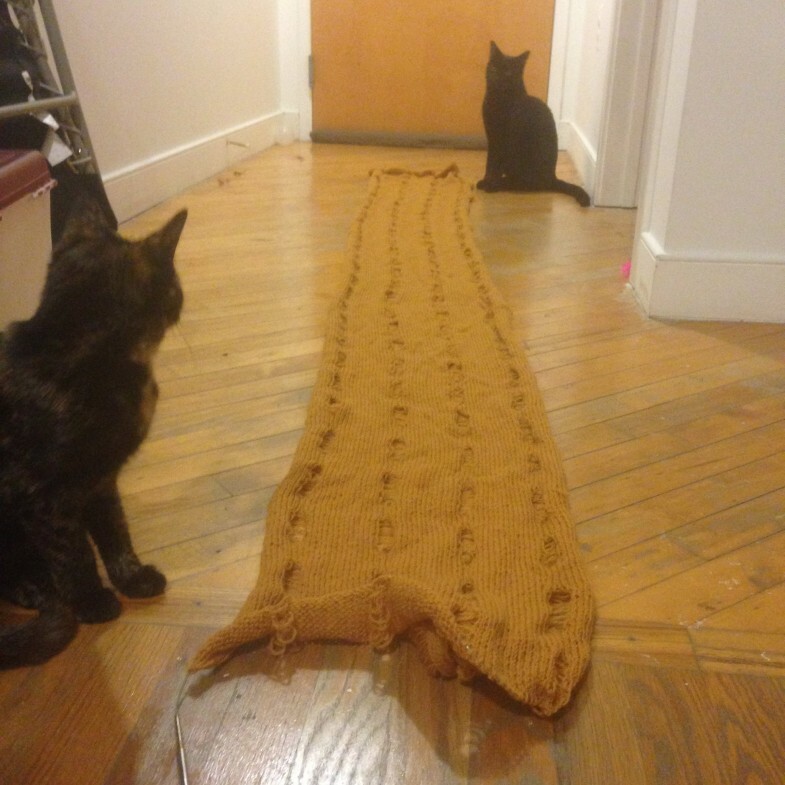 Previously, I only had pictures of the shawl from when it was blocking: Attempt #1, where the bind-off edge was too tight, and Ziggy was “helping”; and Attempt #2, after I re-worked the bind-off edge, and re-blocked it (sans-Ziggy). But since I was wearing it fairly often, I finally snapped a pic of the shawl being worn. 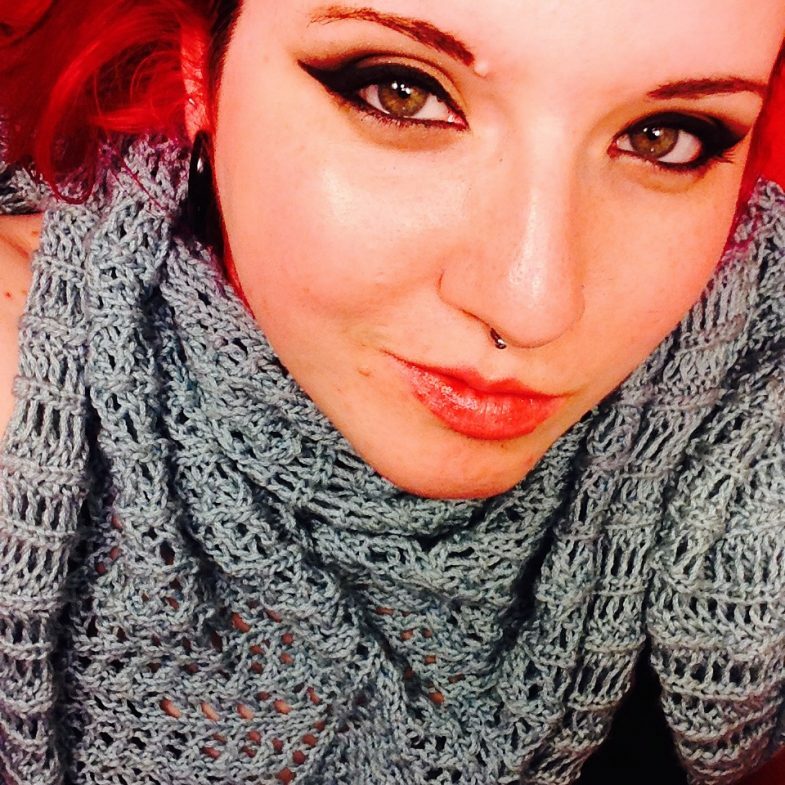 This shawl has been great for the fluctuating temperatures. It is warm, but not too warm. The yarn is smooth and soft. It is a now-discontinued DK yarn (Spa) from the Naturally Caron line from Caron, made of microdenier acrylic and rayon from bamboo. I have another skein of this yarn in pale yellow (Soft Sunshine), that now I am pondering working up into another lace shawl, since I’ve been wearing this one so much lately. Sooo, I pull up Ravelry, and look at my options. I immediately spot one that looks good… and see that it is the Little Arrowhead Shawl pattern, again. Hah.. well, apparently I know what I like. 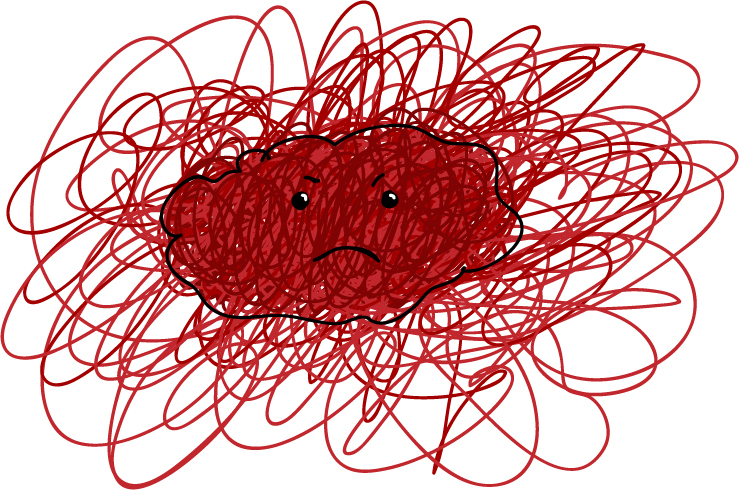 But, I want to try another pattern, since I’ve already made that one. Variety! Soooooo, I browse other options of thicker weight lace shawls, because I want to use bigger needles and take a break from laceweight and sockweight yarns. 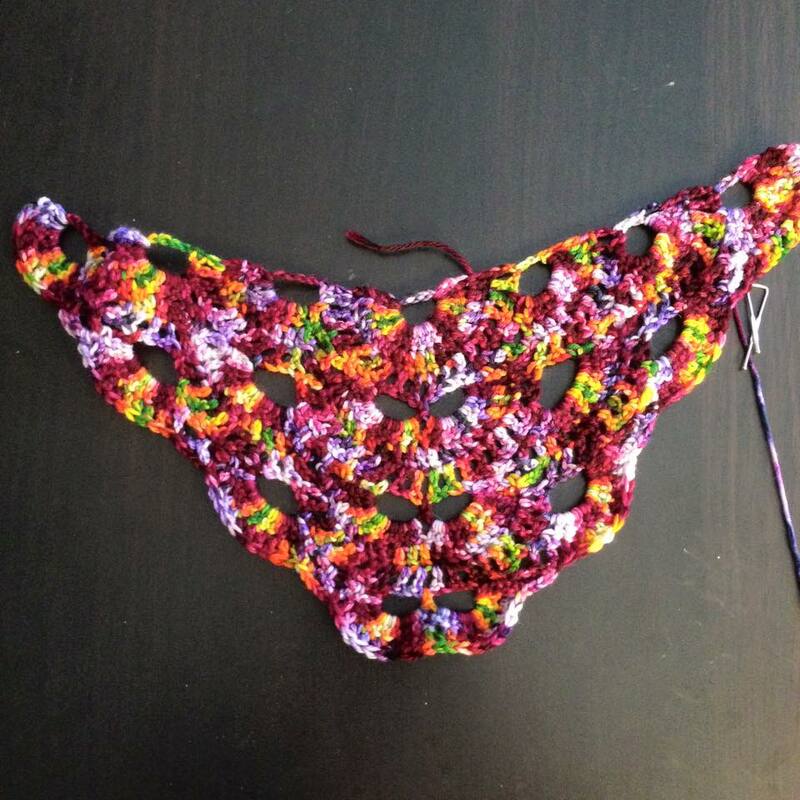 Looking at patterns until it dawns on me: I COULD MAKE MY OWN PATTERN for a lace triangle shawl. WAIT, brain. What? Stopppp! …not only are you not supposed to be starting yet another project, but… designing one? Needless to say.. I’m totally planning on looking through my lace stitch dictionaries when I get home. When I was in Seattle for my sister’s wedding, I bought some “souvenir yarn.” One of the skeins already turned into a Holding Hands, Feeding Ducks scarflette… which I still have not woven the ends in (which is kind of sad, since there are only two ends). 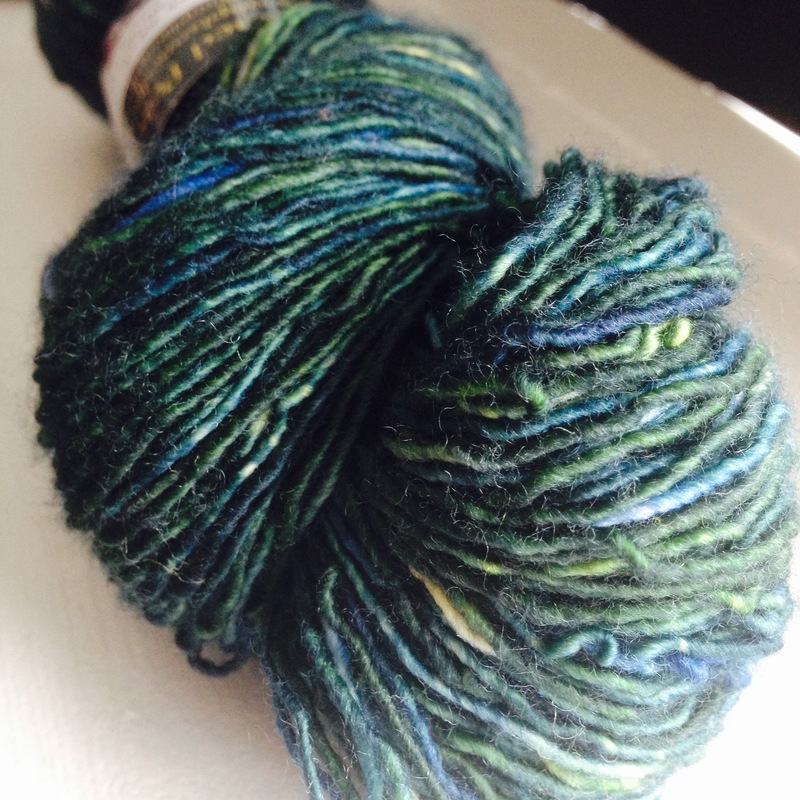 The other skein, I didn’t know what to do with it. 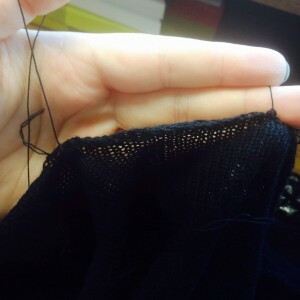 Taking a break from my goal of finishing my UFOs, I… started yet another project. Trying to decide if the colors are too much. Not sure yet. The last 23 days or so have just been short posts for the #drawlloween challenge. I haven’t updated much else. But I have been knitting. Mirkwood is sadly set aside, having never regained momentum after the cat-attack. While the work has been salvaged, the semi-deadline has passed, so there’s less motivation to keep working on it. I do plan to get back to it, but am just taking a break. I had purchased some “souvenir yarn” during my trip to Seattle — Manos del Uruguay Maxima in Beehive and Knitted Wit Victory Sock in Market Flowers (exclusive Seattle colorway). I was eager to try something with these new yarns, since starting new projects is always exciting. The scarf is wider that the original pattern, and I knit until I ran out of yarn, resulting in a short scarf, good for tucking into one’s jacket. I still haven’t weaved in the ends, because I am lazy. I also mended a machine-knit sweater. One of my favorites had gone through the wash and emerged with a broken strand that unraveled the stitches several inches wide. Using the crochet hook I’d been using for beading on Mirkwood (the hook is 0.5mm!! 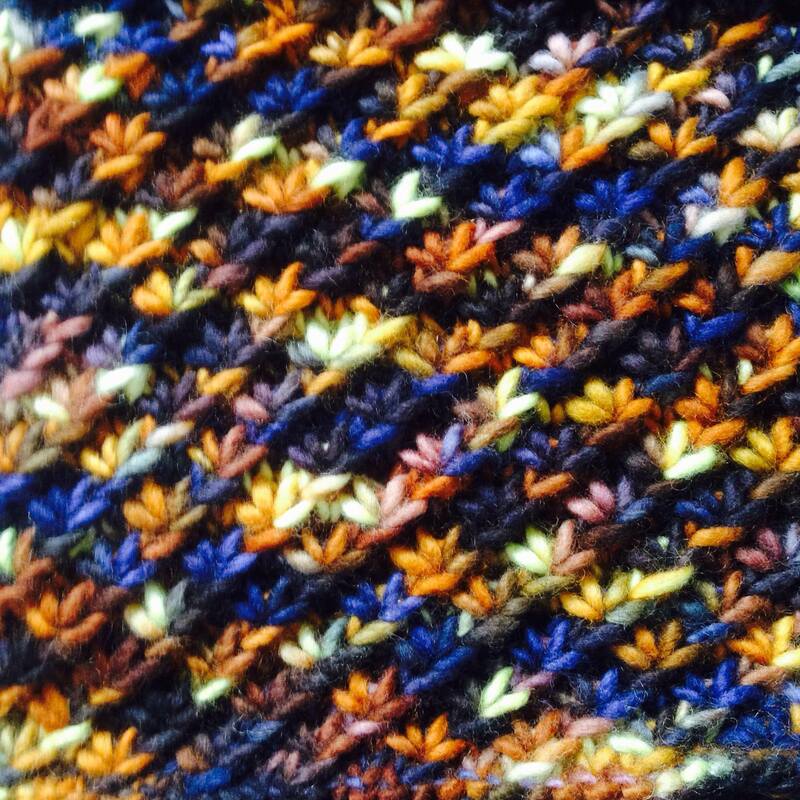 ), I picked up all the unraveled stitches, and re-bound off the edge. I wouldn’t say it’s as good as new, because it slightly puckers there, but in the overall design of the sweater, I think it is virtually unnoticeable. I’ve picked up the Les Misérables scarf/wrap again. I’ve decided to use all the balls of the yarn I have, and it will be very long. It is already… very long. I don’t know how much it will shrink when felted (technically, fulled). Part of me wonders if I want to felt it at all. I guess we’ll see when it’s done. On a side note, the kittens are getting quite big. 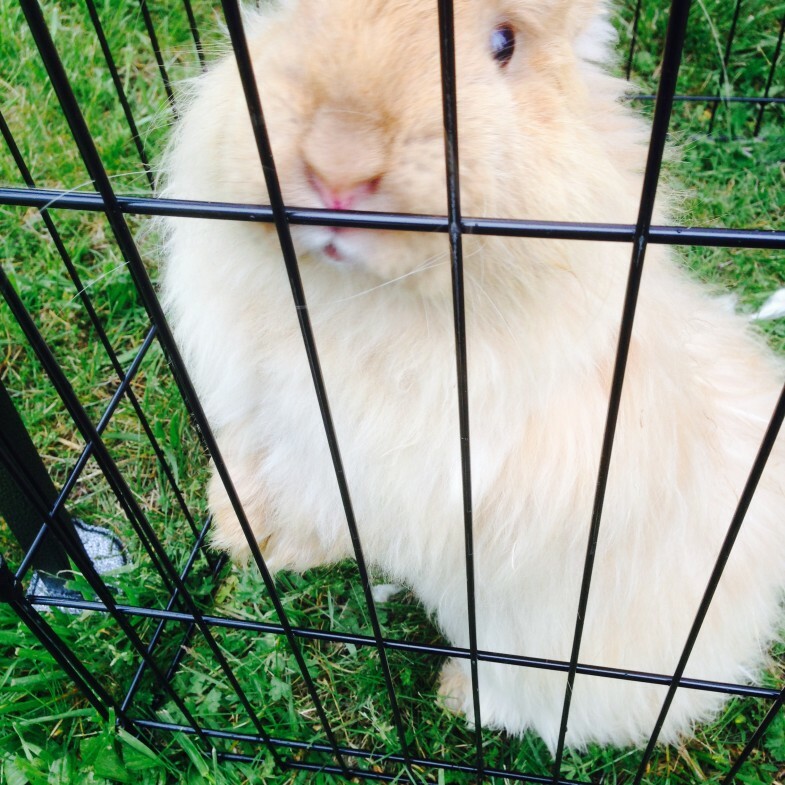 It’s been a long while since I have updated the blog. Life has been busy. I’ve been surprisingly social, which (while being enjoyable) has severely cut down on my personal time and time for making things. On the bright side, all of the three holes that I found were relatively close to the working side. After recovering from the shock-and-horror, I bravely removed the entire shawl from the needle and unraveled it, picking out the beads as I went, until I got to the base of the holes (which apparently was all the way back to when I switched skeins of yarn). And then — picked up 379 stitches like a BOSS. In a stroke of luck, the row I picked up had the distinctive double-YOs, allowing me to more easily figure out what row I’m now on (Chart 2, row 79). And each segments’ stitch count matches what it should be. Woot. This means that I lost 30 rows… and since each row takes foreeeeeever (like at least good 20 min per RS row) that means I lost only like, 10 hours of my LIFE. 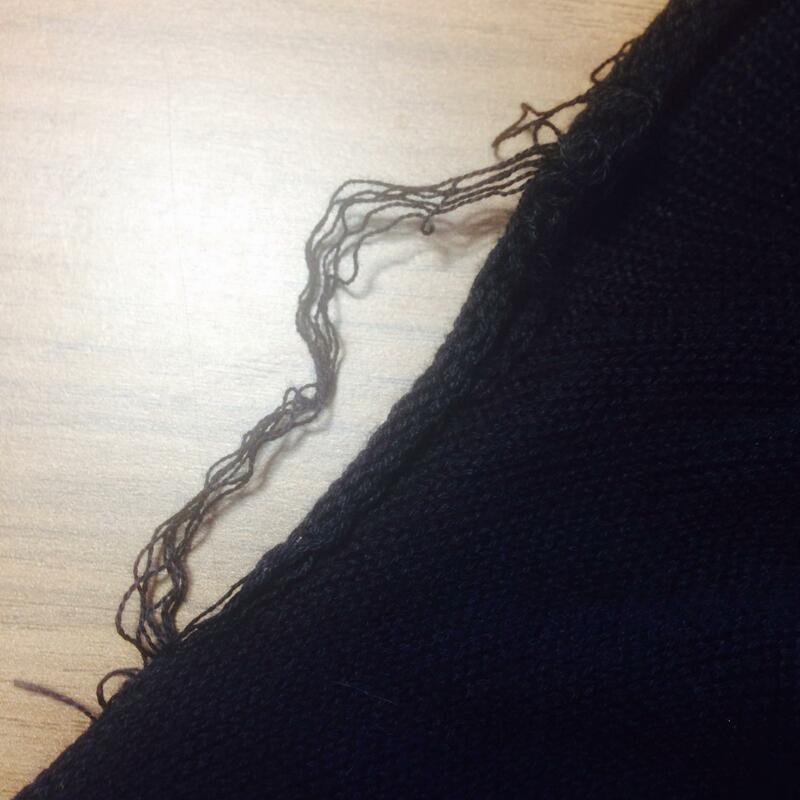 Plus the probably-around-2-hours it took to carefully unravel and pick-up stitches. Jeez. It is much more unlikely that I will finish this in time to wear for the wedding as I am now having to backtrack… Le sigh. So, I’ll have to figure out something else to wear. This time an actual problem. I loaded the hank of Malabrigo Lace onto my yarn swift, and used my ball-winder to wind the hank into a center-pull yarn cake. Not so much of a problem so far. After spending a while, with a lot of patience, I managed to unknot the entire skein, but now it’s split into smaller balls, as the yarn snapped a couple more times in the unknotting process. Oh well. 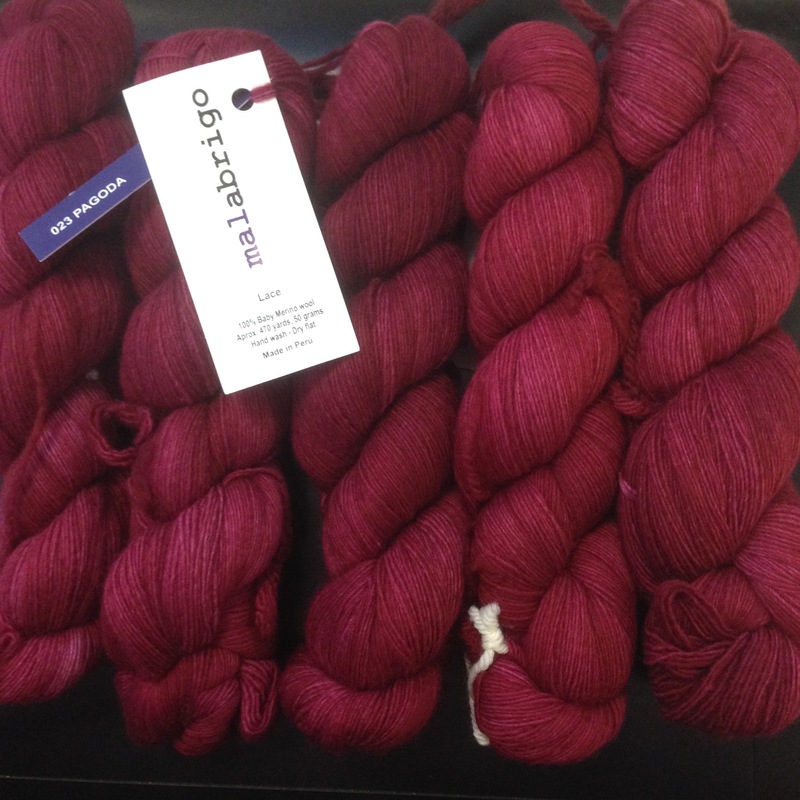 Luckily, it was technically the extra skein I ordered, so not too much of a concern. I think this was a lesson I learned the last time I worked with laceweight yarn, but had forgotten. 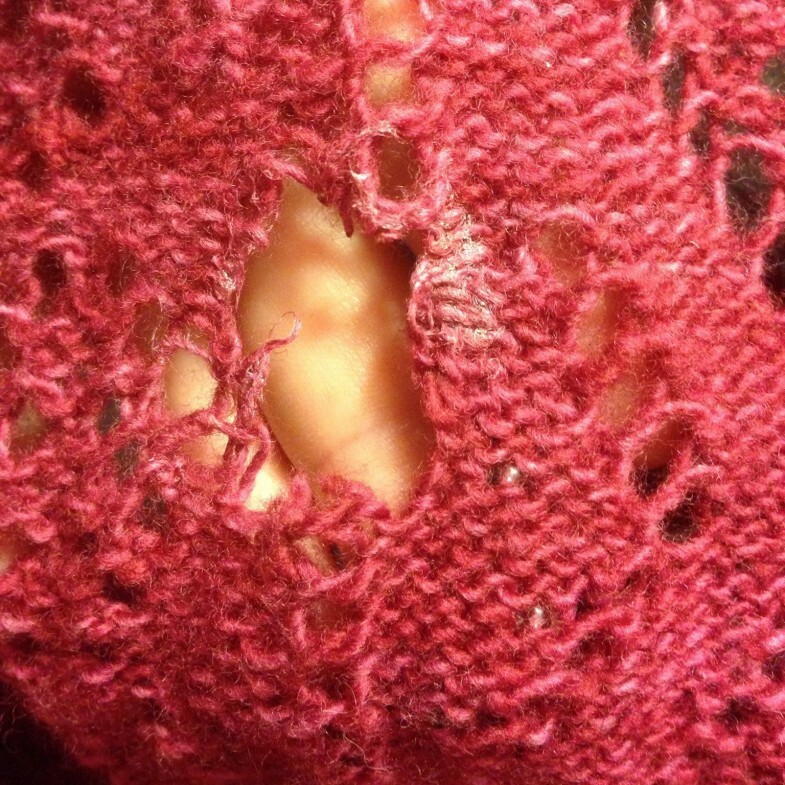 It doesn’t seem like laceweight yarn likes being used as a center-pull. Now will hopefully remember this for the future! My yarn for Mirkwood has arrived! 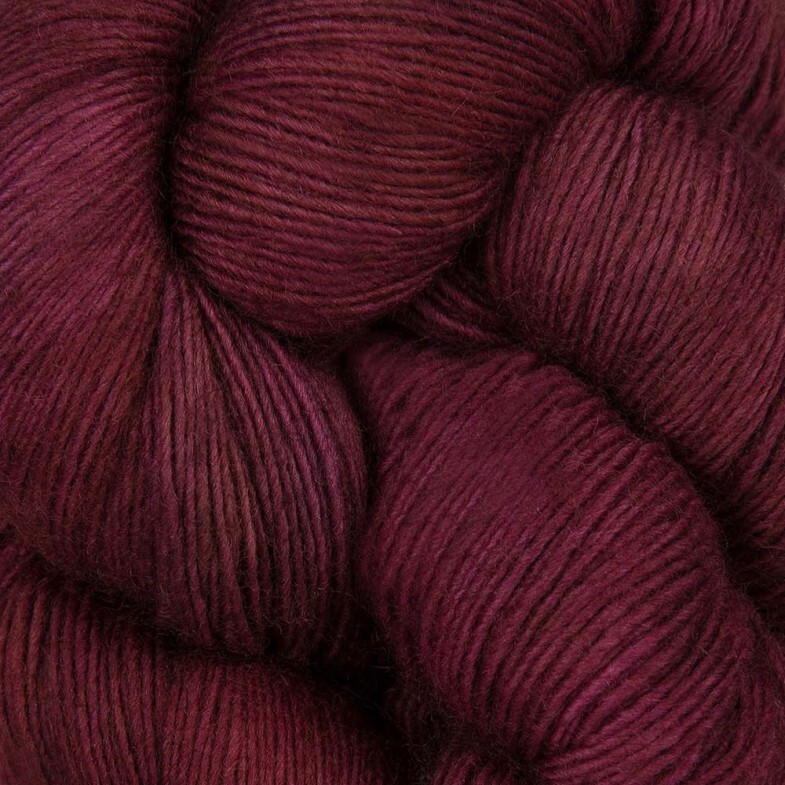 The Malabrigo Lace is so lovely and soft and prettiful. I can’t stop petting it. Very distracting at work. I’m glad I got the extra skein, just in case. I probably could have done without the extra skein, but now I just get more opportunity to use/have/wear this lovely yarn. Hooray! My beads also arrived yesterday. I’m actually glad that I ordered all of the colors I was considering, since the colors are significantly different from what was displayed on-screen (especially the frosted opaque jet). Which I totally understand, but glad that I gave myself some wiggle-room for making the decision based on the actual colors. Now that the yarn has arrived, I will be able to test how all the true colors complement each other. Now I’m anxious to get started on the Mirkwood Shawl. Part of me feels like I should wait until I finish one of my current WiPs, but… what’s the fun in that? It was really just shifting next month’s “hobbies” budget to now. Since there was only just enough of the yarn in the color I wanted at the online shop, and I didn’t want them to run out. 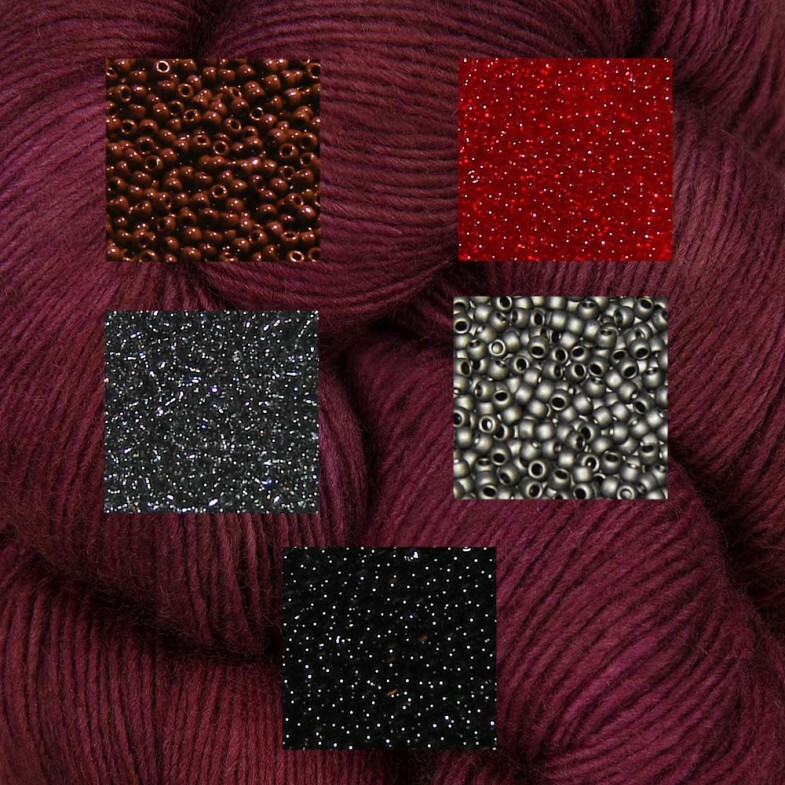 The bead choices are opaque oxblood, transparent ruby, transparent grey, opaque frosted jet, and opaque jet. 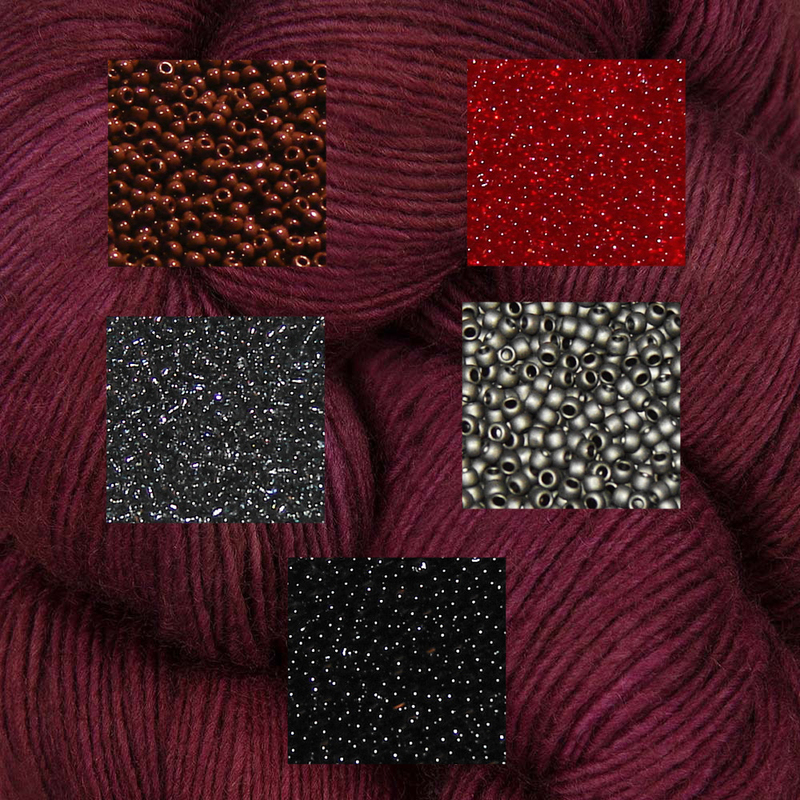 I really like the oxblood beads but not entirely sure how well they actually complement the yarn. 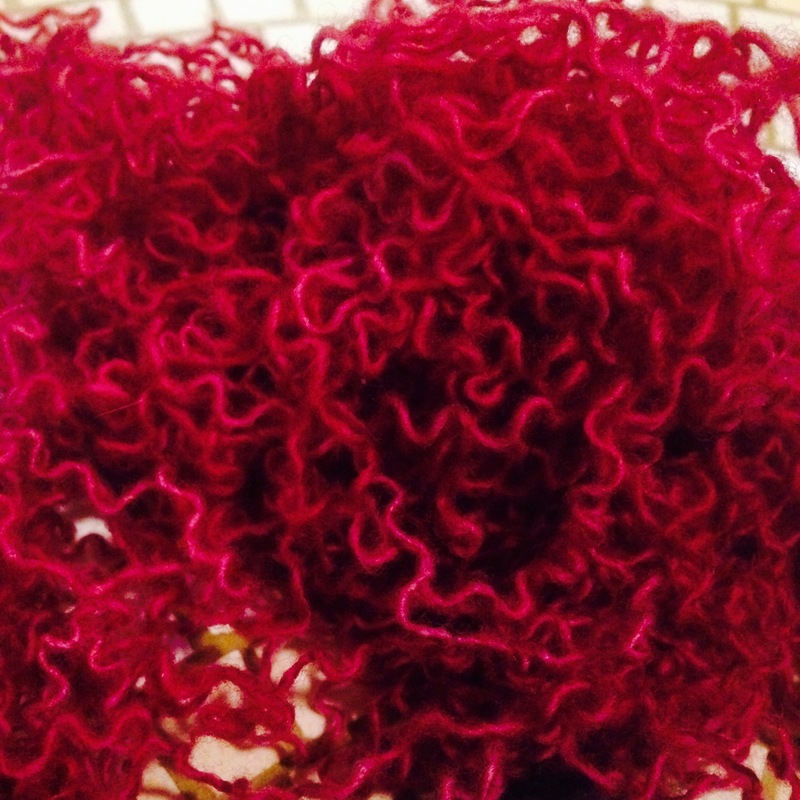 Same with the ruby — however, these are transparent, so they may appear darker with the yarn inside and work better. The transparent grey also will have the yarn color show through and add a nice glint. The opaque frosted jet is an interesting choice, because they are matte and a unique color; definitely a different feel for beads. And the opaque jet would definitely work, and add a little shine. I guess we’ll see when I have all these happy new purchases in my little hands. Another girl in my knitting group showed off the progress she’s making on her Mirkwood shawl; I’m very excited to start my own! Speaking of knitting group, we were supposed to knit outside in the park today, but it is rainy. So, coffeeshop it is! Currently trying to resist temptation. But now, researching pet insurance like a “responsible adult”… boo, adulting. This last Saturday, I woke up with not much planned to do. In a bit of a mood, as well — I had stayed up a little too late the previous night at a party, and the morning was wet and gloomy. 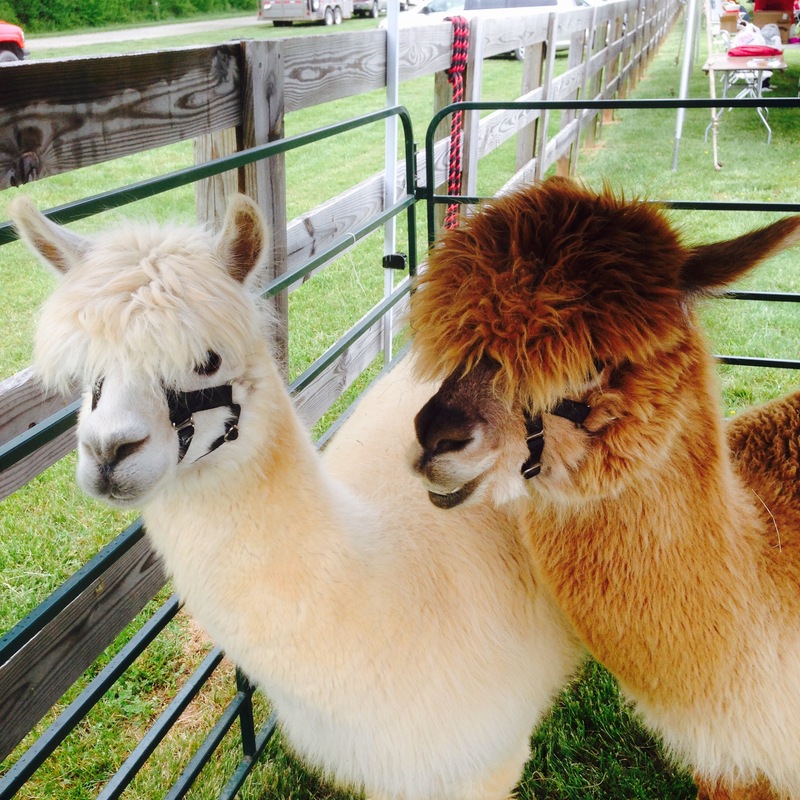 Despite this, I didn’t want to spend the whole day holed up in my apartment, and I remembered about the Powhatan Festival of Fiber. So, I shrugged into some clothes and got on the road, for about a 45 minute drive. While the drive itself was uneventful, it was a bit emotional as I was dealing with personal stuff — partially why I had such impetus for getting out of the apartment and actually doing something, even if it was to wander a fiber festival, all by myself, in the drizzle. 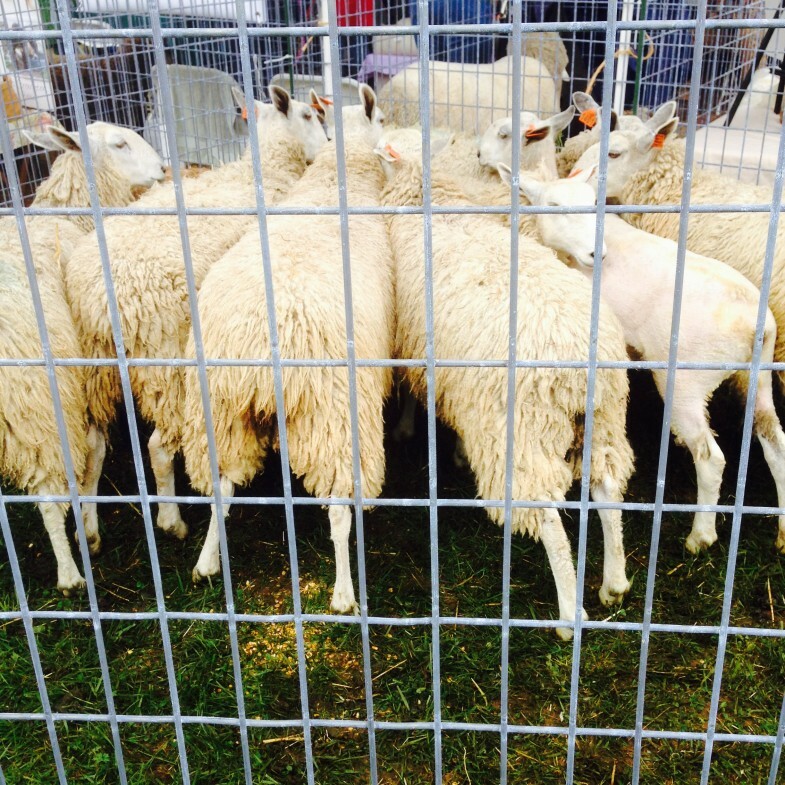 I wandered from booth to booth, petting all the lovely skeins and hanks of yarn. The smells of festival food wafted through the damp air. I resisted buying a funnel cake. (Can funnel cakes be vegan? 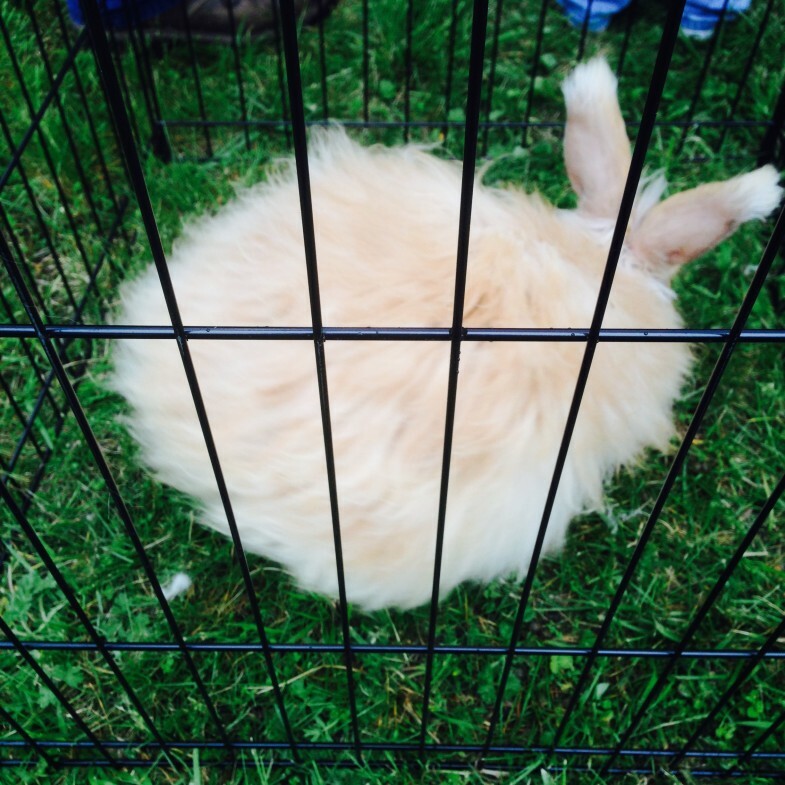 I don’t even know…) As I made my way to the back of the fair, I noticed a pen. There were also sheep being sheared, next to a couple pens of different breeds of sheep and goats. I got to pat a baby goat on its head; it had tiny little triangular horn nubs — adorable! 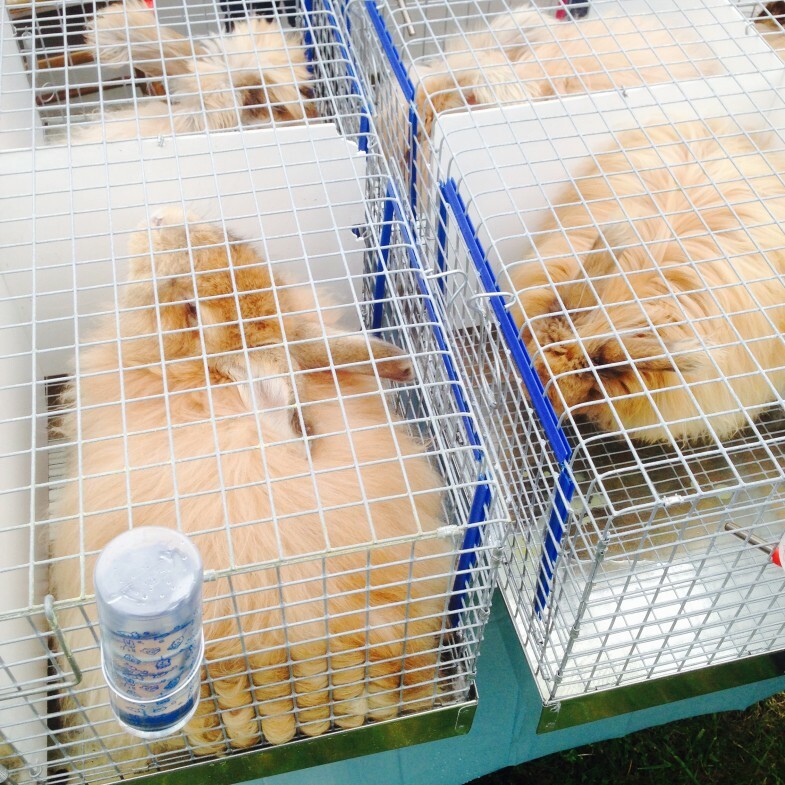 Further down the row, there was also a booth selling angora rabbits. I did not buy one. Although, tempting. So fluffy! In the end, I wandered around some more for a while, browsing all the booths (sometimes twice, because I hadn’t really planned a path), before deciding on a skein of yarn. There was only a single skein in its colorway, hanging on a rack surrounded by other beautifully colored hanks of yarn. But I kept coming back to this one. The picture does not really do it justice. It is lovely and soft, with beautiful tones of greens and blues. 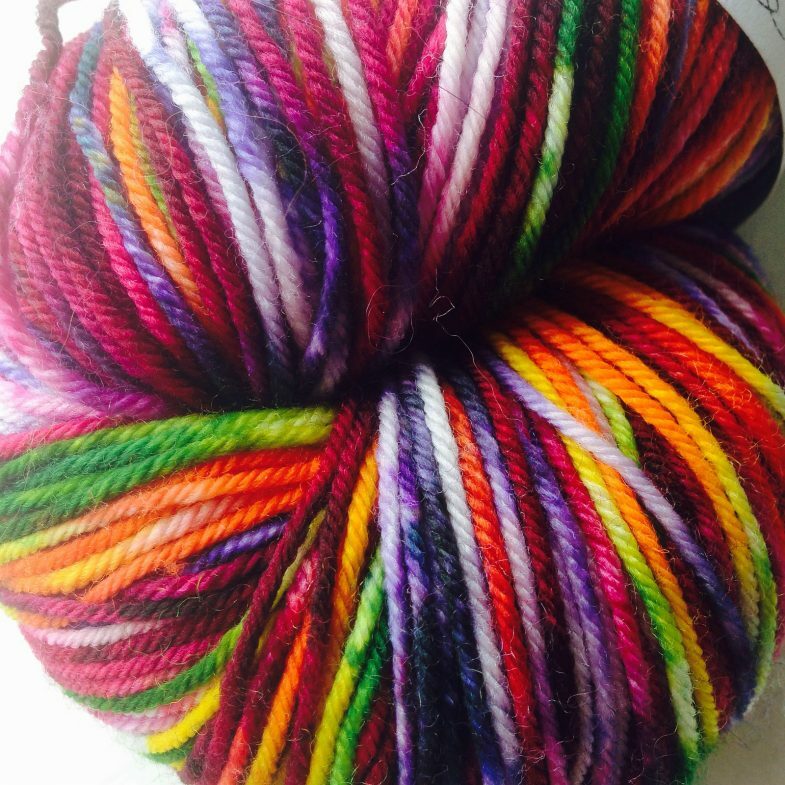 A sock yarn from Unplanned Peacock. The colorway name is Frog… but the colors more remind me of a peacock than a frog. I am not sure what I plan to do with it yet — I’m leaning towards a sock-yarn shawl; too pretty to hide under a pair of shoes! Now to browse Ravelry for all the possible options. Swoon. ETA: oh, there was so much Papyrus font used by the vendors! Egad!